This is a guest post by Michael at Jackpot â€“ an online casino guide which offers a wide range of reviews and information about online gambling. 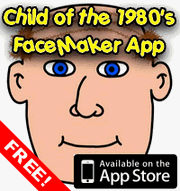 When the 1980s are mentioned, many images and stereotypes are immediately conjured. From Rubikâ€™s Cubes to the A-Team, this was a decade that had many defining features. A development that was certainly at the forefront of many peopleâ€™s lives during this era was the emergence of video games. The early 1980s is often described as the â€˜golden age of video arcade gamesâ€™, and for good reason. This was a time period in which Super Mario Brothers, Ms. Pac-Man and Donkey Kong were created, so how could it not be noted as a period of considerable excitement within this industry? Some games of the 80s are still very much in favour today, with Super Mario Bros. being the best selling video game of all time and Google even changing its homepage logo to a fully playable version of Pac-Man to commemorate the games 30th anniversary. 80s video game fever has become so apparent that classic games have even made their way in to cutting edge online casinos. A prime example of this is the Street Fighter II and Street Fighter IV slots that can be found at the likes of Intercasino. These slots feature many characters from the games including Ryu, Ken and Sagat and even include enthralling bonus rounds which consist of choosing fighters and then helping them through fights in an attempt to win you big money. As a result of the transformation of the Street Fighter games in to slot games, they are currently experiencing a resurgence in popularity. A new version of the game, entitled â€˜Super Street Fighter IVâ€™, was released in early 2010 as well as a short film called â€˜Street Fighter: Legacyâ€™ that starred characters from the game series. 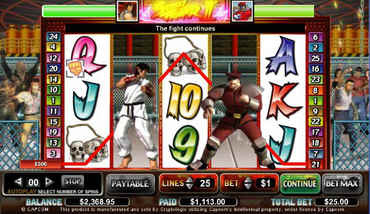 Street Fighter is not the only video game to appear in online casinos. Inspiration for slot machines coming from all sorts of video games, ranging from Bejewelled to more recent games such as Hitman and Call of Duty 4. There are even casino games available that are designed to rekindle some of the enjoyment that was created during the 1980s. 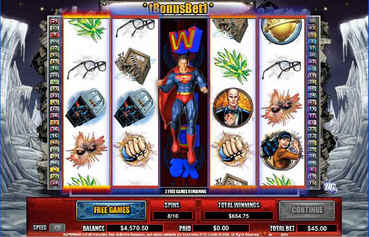 The iconic film series â€˜Rockyâ€™ has also provided the inspiration for an online slot machine in addition to the plethora of games based on comic book characters including Superman, The Punisher and Daredevil to name just a few. More and more themed slots such as these are becoming available on a daily basis. This means that there is now so much choice within online casinos that each and every player is bound to find a game that they can enjoy. This entry is filed under Miscellaneous, Toys - Videogames	and was posted on July 26th, 2010. You can follow any responses to this entry through the RSS 2.0 feed. You can leave a response, or trackback from your own site.